Naples Florida, Smoky Rescue releases an innovative spray to help smokers to get rid of their addiction and help the body to heal the damage from the toxins obtained through cigarettes. The spray deprograms one’s body of tobacco, personalized to the specific cigarette brand of the consumer. Smoky Rescue, dubbed ‘Cigarette Deprogrammer’ stimulates the self-healing powers of the human body. This spray is responsible for ridding your body of thousands of chemicals included in one’s specific cigarette brand. To eliminate the thousands of chemicals from the brand of cigarette the person smokes; the lab uses specific frequencies that are imprinted into the Smoky Rescue spray for this specific brand. When smokers spray the imprinted solution under the tongue, the specific frequencies enter the body, distribute through the energetic nervous system from there to signal the cells of the body to carry out the activity “coded” by the frequency. This specific frequency raises the energy of toxins to cleave their electro-zonal forces of the tissue and organs. Smoky Rescue breaks the bond and allows the elimination of chemicals by natural emunctories. Smoky Rescue is obtained in bottle form, which one sprays under the tongue, which is a physiological site of privileged absorption. Dependent on one’s intentions, the usage is slightly different. If the intention is to free one’s body of toxic chemicals, one sprays under the tongue three times, once in the morning and once at night. If one is using the spray to quit smoking, spray two times under the tongue when you feel the urge to smoke. After a few minutes, if the urge to smoke is still presenting itself, go ahead and smoke. This spray will gradually deprogram one’s body of tobacco until the urge to smoke is no longer there. Dr. Moser, the inventor of Smoky Rescue gushed, “This amazing technology helps to start getting nicotine, additives, and all the thousands of chemical components out of smokers’ body with no pain, no struggle, and most importantly, no side effects”. 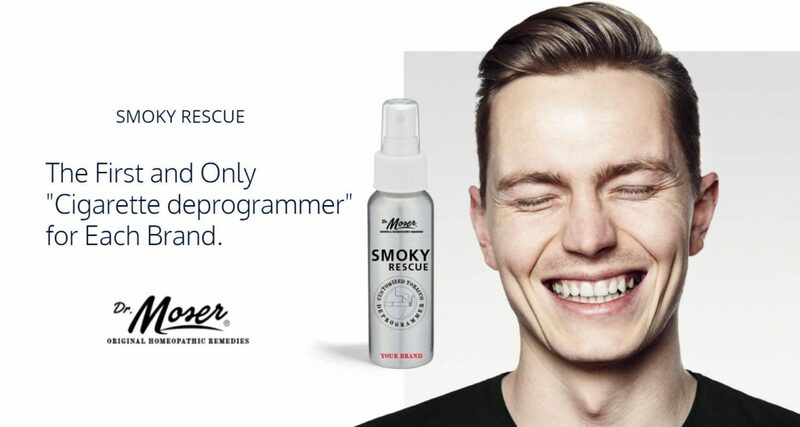 Launching now, with options for personalization based on your cigarette brand, you can order the Smoky Rescue spray on SmokyRescue.com. Furthermore the company is looking for distributors all over the country. For more information email info@smokyrescue.com. Philippe Moser is a world-renowned researcher and the inventor of Smoky Rescue. He is an expert in the fields of toxicology and homeopathy, and the author of twelve medical textbooks. Settling in Miami, Florida in 1994 he began years-long research on smoking. Dr. Moser tested a supplement that eliminated thousands of chemicals from the body found in cigarette smoke. Taking this further he decided to create a product for each brand of cigarettes, to successfully remove the toxins that varied and named it Smoky Rescue. Copyright © Since 2016 All Health, All Rights Reserved.